When most people think of converting a PDF document from one format to another, Adobe Acrobat is usually what comes to mind. As the premier PDF management tool, it is the ideal choice for the conversion of PDF to TIFF. But it is not the only one. Adobe PDF to TIFF conversion is very easy as we shall see shortly, but there is another tool that you can use to convert PDF to TIFF in place of Adobe Acrobat. 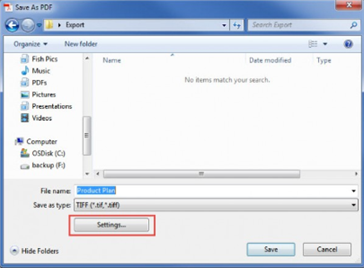 In this article we look at how to convert PDF to TIFF in Acrobat. But before we do, let's take a look at how to convert PDF to TIFF using adobe acrobat's most capable alternative. Begin by downloading and installing iSkysoft PDF Editor to your computer. The program should guide you through the installation process. Once it is installed, launch the program by double-clicking on the icon. The next step is to open the PDF file you would like to convert to TIFF. To do that, click on the "Convert PDF" tab in the program's main window and then select the PDF document you want to convert. With the PDF open, you are now ready to convert. To do that choose the "To Image" option and from the many image formats available, click on "TIFF." Click "Convert" to convert the PDF to TIFF and save the converted document. 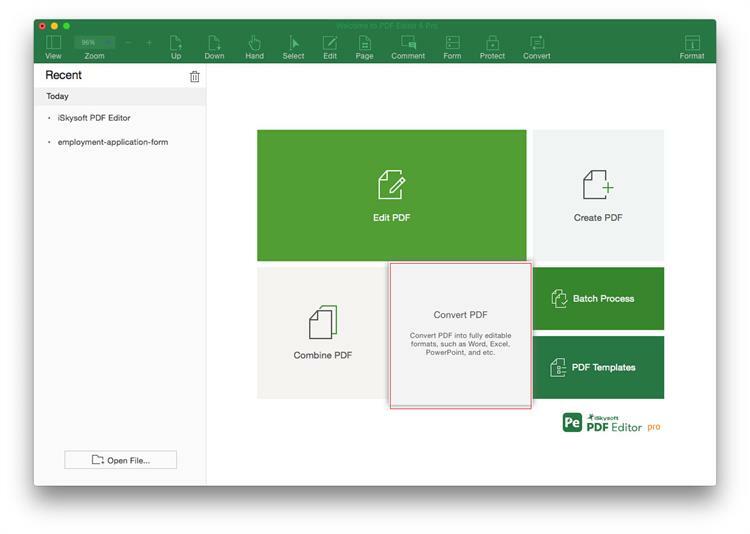 It is the best tool to create a PDF document since all you have to do is open a document in any other format and the program automatically creates a PDF. 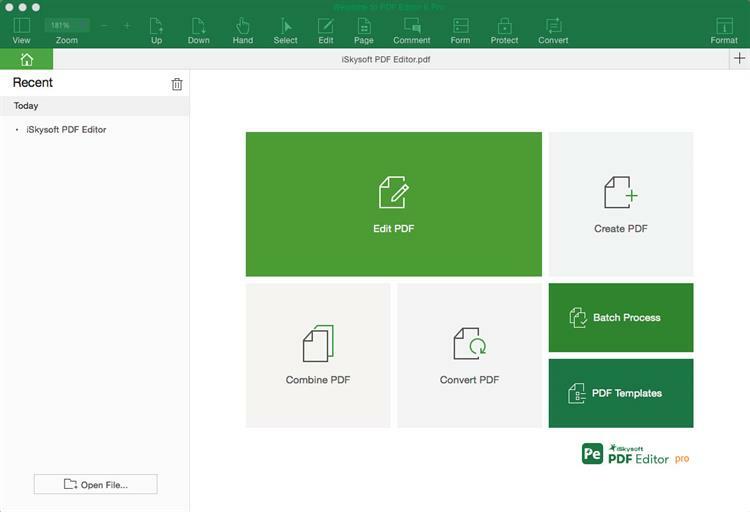 As we've seen above, it is also the ideal tool for converting PDF documents from one format to another. It can convert PDFs to Word, HTML, Excel, PowerPoint and even image formats like JPEG, PNG and TIFF. It also comes with powerful annotation features like custom stamps, comments, notes and even the ability to highlight and underline text. It has a powerful OCR feature that you can use to edit or manage scanned or image-rich PDF documents. Editing PDF documents with iSkysoft PDF Editor 6 Pro is as simple as using a Word processor. You can change the text font style, font size and font color as well as edit the images any way you want. One you are happy with the document, you can easily share the document without having to leave the program. Step 1. Begin by installing Adobe Acrobat on to your computer if you haven't already. Launch the program and then open the PDF document you'd like to convert to TIFF. Step 2. Once the document is open, click on "File > Export To> Image > TIFF". Step 3. Click on "Settings" to set the color space and other aspects of the output TIFF file. 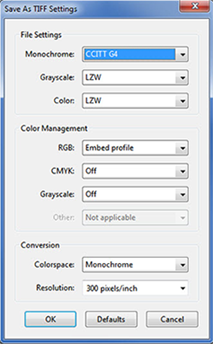 If you are not sure what to do, simply select "Monochrome" under Conversion Colorspace. Click "OK" and then assign the new TIFF a filename before saving it on to your computer. As reliable as it is, converting PDF to JPG in Adobe Acrobat can have a few issues. To begin with, the process is not as straightforward as it is with iSkysoft PDF Editor Pro 6. But the following are just some of the most common problems you'll experience and how to fix them. It is perhaps the biggest problem when converting PDF to TIFF using Adobe Acrobat; you will not be able to convert all pages in the PDF into a multipage TIFF file. This means that each page will be converted into an individual TIFF file. 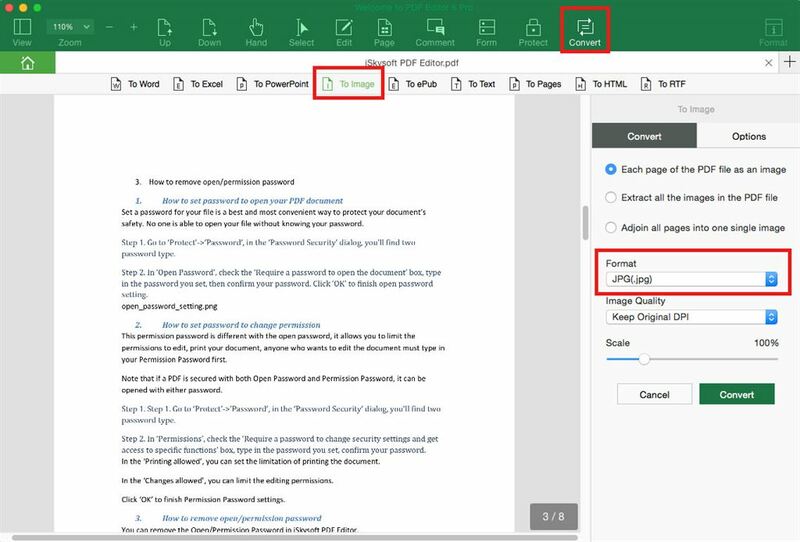 This is OK if you have a PDF with a single page but when the PDF you are converting has multiple pages, you will need to make use of another program to combine the individual TIFFs into one. Another problem most people face when converting PDF to TIFF using Adobe Acrobat is the expanded file size of the resultant document. Depending on the source of the file, it is likely that the TIFF will be from 2 to 100 times larger than the original PDF file. If that happens, there is very little you can do about it. Choosing another PDF program to make the conversion may be your only solution although you can also use a third party tool to compress the converted TIFF file into the desired size. Try updating Adobe Acrobat. If you don't see a "Update" option anywhere, uninstall the program and then reinstall it. You may also want to update the computer's operating system for both Windows and Mac. If you are using Windows OS, and are unable to install the latest version of Adobe, you may want to disable the antivirus before trying to download the program. If the formatting on the PDF is altered during conversion, please note that this is rare with Adobe Acrobat but it does happen. Simply trying again can work. But if the format is not like you'd want it to be, the best solution would be to use another program to convert the PDF to TIFF.